Bots cause a range of business problems, such as account takeover, application DDoS, API abuse, web scraping, spam creation, skewed analytics and ad fraud. Bot traffic also leads to poor user experience from website slowdowns and outages, breaches of personal data, damage to brand reputation and customer loyalty as well as loss of revenue. 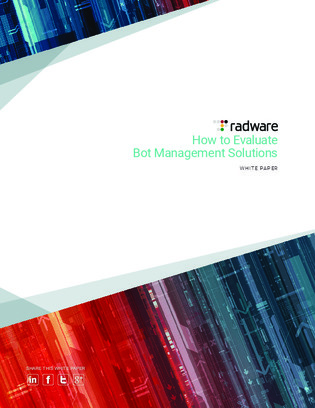 Regardless of the size of your organization, the escalating intensity of global bot traffic and the increasing severity of its overall impact mean that bot management solutions are crucial to ensuring business continuity and success. Several bot management options are available, ranging from cloud-based and on-premise to hybrid systems with a monthly subscription. Download this white paper to see which one is right for you.